Robin was born and raised in Newton, Massachusetts. In the late '60s, he traveled to New York City, where he became a cast member of the Broadway musical Hair, playing the lead role of Claude from 1969 through 1971. In 1970, Robin had a Top Ten hit with "Lay a Little Lovin' On Me." Check out the Robin McNamara Interview for a complete bio, and watch this site for updates on Robin's current projects. Robin has joined The Headliner Band for a groovy new concept show called Stuck in the '60s. For info, check out the show's official website! NEW (October 2017): Take a peek at this video of a recent groooooovy performance!!! 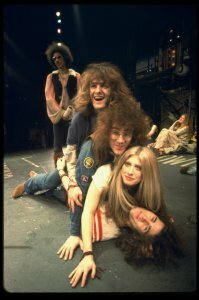 Check out these cool photos of Robin and the cast (tribe) of the Broadway musical Hair, circa 1970. Photos were taken by Martha Swope and are archived on the New York Public Library Digital Collections website (clicking on each photo will bring up its page on that site, where it is shown in a higher resolution). To view the entire collection of Hair photos, go to this page. 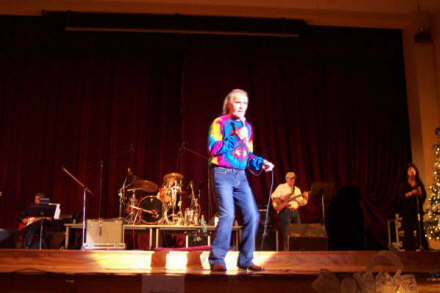 Here's Robin performing his hit, "Lay a Little Lovin' On Me," at the Kool 103FM Caravan of Stars on 26 on October 12, 2013, at the Carl Perkins Civic Center in Jackson, Tennessee. Robin McNamara Unplugged! Check out the video below, which is from Robin's sold-out appearance with Katie Geddes & Friends at the Greenwood Coffee House in Ann Arbor, Michigan, on 30 November 2012. The above video is an edit from some 90 minutes of tunes from the 1960s era, as well as a few Robin McNamara originals. To book Robin for a concert or private function, please send an email to theolhippie@gmail.com . Kindly include your contact information as well as the date and location of your event. Thank you! The Ray Mac fundraising event* for the burn unit at Massachusetts General Hospital was "an amazing, magical night" according to Robin. Thank you to all of those who attended! Ray's Story is a story that is nothing short of a miracle. It happened over 20 years ago. Ray was a lieutenant on the Newton Massachusetts fire department. On October 25, 1993, the fire station got a call to respond to a metallic sodium chemical fire. Upon arriving at the scene a massive fireball explosion blew up 13 of the firefighters. All were injured to various degrees; Ray was injured the worst. He was first in the building (that's just the way he is, he attacks everything he does with wonderful vigor; no one has more zest and zeal for life than Ray). The explosion knocked him into a coma for approximately a year and he was burned over 90% of his body and disfigured from head to toe. The doctors numerous times told us Ray's fate was out of their hands. His face was burned very badly, which left him blind. He was also hooked up to life support, enclosed in a "bubble," completely wrapped in bandages like a mummy. Local priests called him a living saint and had even conducted Masses in his house. The person who has helped him keep it together and given him the most strength is his wife Denise; she is an angel sent from heaven. Now here it is coming up close to the 20th anniversary of the accident and Ray has amazed everyone throughout the years after the incident with his spirit and will to live and find happiness once again. Dr. Colleen Ryan at the burn unit at Mass General calls him a hero. His primary clinician at the time, Dr. Hughes, was also wonderful. Mass General made up a video documentary of Ray's case which was shown at a function in Boston at which Dr. Tim Johnson was the guest speaker among many other dignitaries. 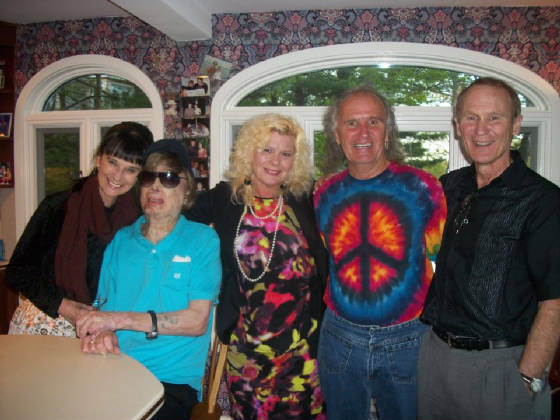 Ray's eye specialist at Mass Eye & Ear, Dr. Dolmen, performed a new experimental procedure on Ray called "Karo-prosthesis" (which he lectured on around the world) to help Ray see; it had only been tried less than 100 times at that point in time. We were told that Ray had only 5% chance for any vision. After Ray's procedure on one eye he could see fairly well with the help of magnified glasses for about six months. He even got to watch the Boston Red Sox on TV again which is one of his passions. It was wonderful but his vision again started to fade to black & he went blind once again. A few years ago one of Ray's heroes, international recording blues star Solomon Burke, heard of Ray's story and how much he was a fan and came to Boston to do a fundraiser at Mass General and invited Ray up on stage with him to sing. Needless to say, he was thrilled! They have also named the street sign after him that goes by his home in Watertown Massachusetts. This is an ongoing story of faith, hope and love in its purest form. 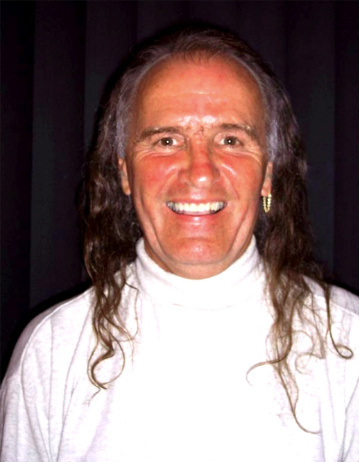 When anyone meets and talks with Ray today you find out how much he loves to laugh and not only is he a total inspiration but, with his humor, faith and just plain raw courage, one soon realizes somehow, some way he seems to have achieved that inner peace we all strive for. He is a true hero in every sense of the word. 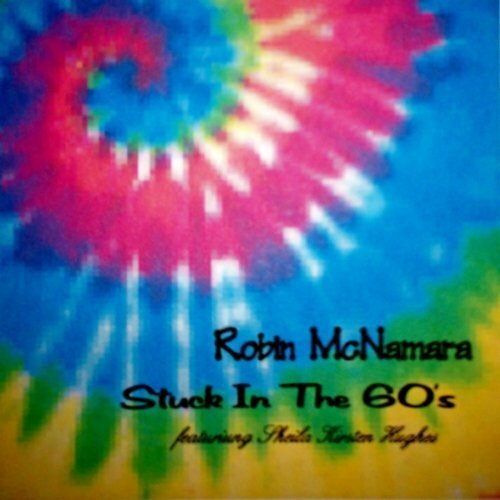 "Mary, Janey and Me"—Robin McNamara's latest single from the 10-track album, Stuck in the 60s. Written by Robin with Jeff Barry and Neil Goldberg, this song raised quite a few eyebrows when Robin first recorded it in 1970—and even more so when folks realized what the song was really about! "When people first hear the title, they think the song is about marijuana. But, once they've listened to the song, they realize it's about a whole different 'drug!'" Robin says, adding, "Compared with what artists are getting away with these days, this song is a cartoon." This version was produced by Jeff Barry, who also produced the original recording back in the day. As Jeff told Robin: "A little controversy never hurts!" Robin McNamara's song, "The Prophet and The King," is an ode to John Lennon and Elvis Presley. Robin: "If you think about it, if it were not for John Lennon and Elvis Presley, rock & roll never would have sustained the way it has or at the very least [it would have] taken a whole different direction." Also available from eMusic, IMVU, MediaNet, Napster, Nokia, Rhapsody, ShockHound, Spotify, Thumbplay, and Zune. Robin McNamara Is Now On Facebook! (Below) Check out this cool video from 1973. It's a Public Service Announcement from the National Urban Coalition ad council featuring dozens of celebrities singing "Let the Sun Shine In" from the Broadway musical Hair. That's Robin McNamara in the second row, right behind Johnny Carson and alongside Ray Charles. See how many other celebs you can pick out. Groovy, man! Check out the video of Robin performing on the TV show Upbeat in 1970. The NEW message forum with three dedicated boards, including one for discussions about the Broadway musical Hair. Please stop by and post questions or comments for Robin!